Freshworks, a cloud-based business software firm, has raised $100 million (around Rs 685 crore in current exchange rates) in a Series G round of funding. The Chennai-based company, formerly known as Freshdesk, said in a statement that global venture capital firms Accel Partners and Sequoia Capital had led the investment with participation from CapitalG, the VC arm of tech giant Google’s parent firm Alphabet. Accel, Sequoia and CapitalG are all existing investors in Freshworks. In the process of raising its largest funding round, Freshworks said it had entered the unicorn club of startups that are valued at $1 billion or more. The firm said the latest round takes its overall external funding to $250 million. Freshworks said the fresh capital will be used for its global expansion as well for investing in its integrated software-as-a-service (SaaS) platform. The company also announced that it has hired former AppDynamics executive Suresh Seshadri as its chief financial officer (CFO). AppDynamics is a US-headquartered operations analytics firm founded by Indian-origin entrepreneur Jyoti Bansal. Seshadri had served as its vice-president of finance and treasury. Founded in October 2010, Freshworks Inc. is also backed by US-based Tiger Global Management. 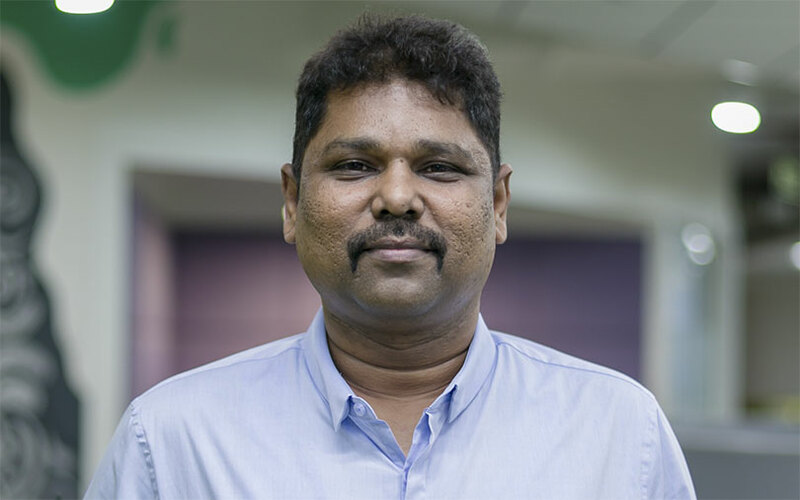 Girish Mathrubootham, co-founder and chief executive of Freshworks, said in a statement that when he started company with Shan Krishnasamy in 2010, it offered only one customer service software product. “We have since scaled our company to $100 million in annual recurring revenue and built a full SaaS platform where all of our products - like Freshsales, Freshdesk, and Freshservice - work together seamlessly,” he added. The firm now has more than one lakh clients and 1,000 employees. Freshworks’ head office is situated in San Bruno, California. The company’s clients include Honda, Bridgestone, Hugo Boss, University of Pennsylvania, Toshiba and Cisco. In June last year, Freshdesk rebranded itself to Freshworks as part of an initiative to position itself as a multi-product brand and for product clarity. Earlier, Freshdesk’s flagship product offering was also the name of the company. Freshworks’ suite of business software products includes Freshdesk, customer relationship management software and other new launches including IT support and call centre services. Freshworks has made nine acquisitions till date. The most recent of the lot was marketing software startup Zarget in August last year. Other acquisitions include chatbot venture Joe Hukum; software-as-a-service startup Pipemonk; social chat platform Chatimity; social media analytics venture Airwoot; visual collaboration platform Framebench; in-app customer support startup Konotor; social recommendation platform Frilp; and video chat software 1Click.io. In November 2016, it raised $55 million in a Series F funding round led by Sequoia Capital India and existing investor Accel Partners. Before that, it had raised $50 million in a Series E funding round led by Tiger Global, with participation from Accel Partners and Google Capital.